Piratas de Bogota management has been struggling to find the budget for the 2018 PBD championship but finally looks like Jose Tapias and Cesar Cassiani will have a competitive roster. Veteran forward/center Jairo Mendoza (203-F/C-85, college: New Orleans) will be the team captain and his role start from the preseason, Mendoza took the responsability to motivate another veterans to join him in Piratas de Bogota. Emiro Romero (194-G/F-84), another proven and well known veteran, is confirmed, Romero one of the better rebounders in the country can add also deep range; Neicer Lozano will be with the team also, Lozano can fill the 4 spot in the court. 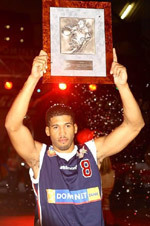 The imports trio will be headed by the talented venezuelan wing Yohanner Sifontes (192-G-95), a Venezuelas National Team member and Guaros de Lara bound is a solid scorer averaging 9 PPJ in just 20 mpg, shooting 40% beyond the arc. 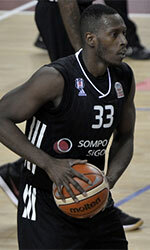 Morris Sierralta (190-G/F-87) is the second import, Sierralta is another scoring wing, veteran in the venezuelan league. Christian Pizarro (G-95, college: Miami Dade CC) from Puerto Rico is the third Piratas de Bogota import, a natural point guard that just explode this year taking minutes in the Capitanes de Arecibo, Pizarro averaged 3,5 PPG in the last Puerto Rican BSN.